This was my first appointment with Dr. Fanno and I am so pleased. He’s extremely knowledgeable, professional and has thebest bedside manner. Linda at the front desk and assistant was also very nice and professional. I couldn’t be more happier. This was my first appointment with Dr. Fanno and I am so pleased. He’s extremely knowledgeable, professional and has the best bedside manner. Linda at the front desk and assistant wasalso very nice and professional. I couldn’t be more happier. Dr Fanno was fantastic. He took the time to explain everything and answered all my questions. He seemed very interested inmy health and all of my concerns since I’m a runner and puts a lot of strain on my feet. Dr Fanno was fantastic. He took the time to explain everything and answered all my questions. He seemed very interested in my health and all of my concerns since I’m arunner and puts a lot of strain on my feet. Dr Fanno performs several advanced procedures including the minimal scar bunion correction, "i" thotic(internal orthotic) and endoscopic procedures for the foot and ankle. Quality patient care is founded on training and experience. Dr.Fanno completed a three year residency specifically focusing on surgery of the foot and all related conditions. 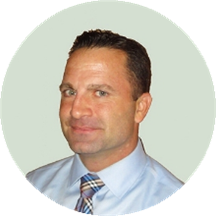 He is an established surgeon with over ten years of private practice experience. He was trained in Saint Vincent Catholic Medical Center for his Podiatric Surgical Residency where he was the Chief Resident. He is a proud Alumnus of the prestigious New York College of Podiatric Medicine and a graduate of the world famous Binghamton University. Dr Fanno is an Associate of the American College of Foot and Ankle Surgeons. He is certified in Hyperbaric Oxygen therapy, Endoscopic Plantar Fasciotomy, Extracorporeal Shockwave Therapy. He is known as "The Surgeon for the stars". Dr Fanno is very knowledgeable and his staff is helpful. Awesome visit! So happy to have found such a great, knowledgeable and personable foot doctor. Will continue to come to see Dr. Fanno. Really straightforward and knowledgeable, and I was able to fit in the appointment during lunch hour - out within 30 minutes. Highly recommend! Dr. Fanno was friendly and easy to talk to. I appreciated that we did some x-rays to see what my current situation was. Unfortunately, I do not feel that we discussed all possible treatment options for my condition. I was toldthat there wasn't much I could do to change my circumstances. Upon further research, I've found some alternatives that have made a meaningful impact in my foot health that I wish I was made aware of during my visit. Dr. Fanno was very informative and friendly. If anyone asks me to recommend a podiatrist in NYC, he would be the one! Made a same day appt. Was seen right away. It was my first time visiting a podiatrist. Dr. Fanno had immediate feedback for my foot pain and the xrays confirmed everything he said. He gave me some short term and long term solutions. Super professional and personable! Very thorough and personable. Explained all problems and made sure to repeat his few expectations of me over the next week. No wait and took 30 minutes total with X-rays. Medical assistant, Nat, was patient and helpful as well! In NYC you need a good podiatrist because square footage is expensive! And so far Dr Fanno was very nice, knowledgeable and though I will miss my toenail, I look forward to new beginnings and a well rounded future for my toe. Great office and location. I was 20 minutes late at the end of the day and they still saw me. Dr was quick, knew exactly what the issue was, gave me options and scheduled a follow up. Entire office is very nice and dr. hasa sense of humor. Only complaint was I had to fill out forms I already did on zocdoc but this has consistently been my experience. Professional but also relaxed and friendly. I didn't feel like I was being sold anything, all the advise I received was geared at preventative care. Came away feeling happy with having visited and the next steps we agreed. He was very efficient and explained everything to me. He thoroughly examined me and made me feel comfortable and not rushed.. The waiting room staff was helpful and efficient. Dr. Fanno was incredibly helpful and patient in answering all of my questions. After receiving an inaccurate diagnosis and treatment plan from another doctor, I was so thrilled to have Dr. Fannosee me so quickly and set me on the right path in a matter of days! Fantastic - very professional and knowledgeable. Couldn't have asked for much more. Excellent doctor and very professional. Dr Fanno was excellent. He listened to my issue and explained possible things causing it. He did a sonogram and x-rays on my foot right in the office. We came up with a treatment plan and all was extremely smooth. Wouldrecommend him to anyone looking for a good podiatrist. Very knowledgeable doctor, friendly staff and a comfortable environment. Dr. Fanno is knowledgable and helpful, I am going to continue using him as my podiatrist. Extremely knowledgeable, attentive and honest. He did exactly what I requested and gave great recommendations on remedies. He is a great doctor and extremely knowledgeable! I’ve been going to another podiatrist in the city but happened to give Dr Fanno a try given my ingrown toenail had returned and my usual doctor was on vacation. The office itself was a bit odd, but the staff wasnice. Dr Brian Fanno was already in the room when I got there which was nice from a customer service standpoint, but once he got right to attempting to remove my ingrown toenail, it was clear he had no idea what he was doing and I left with it still there. I would not recommend this place. Great experience overall—I highly recommend! Can't say enough good things about this visit. Dr. Fanno was energetic, quick to explain the problem, and proactive in identifying what the issues were. He also walked through the necessary remedies needed to fix the injury and was very honest and upfront with everything. STRONGLY recommend. Fixed my ingrown toenail in a few minutes. My appointment was handled professionally. Dr. Fanno has a new office which is wonderful. Dr. Fanno’s office was a dream! I was running late and not only were they super sympathetic, they didn’t even make me wait any longer than it took me to fill out my new patient forms. His staff was extremely friendlyand understanding throughout. Then, seeing Dr. Fanno was also excellent. He quickly diagnosed my issue and provided me with a solution and explained everything in terms that I understood but didn’t seem condescending. I highly recommend every aspect of Dr. Fanno and his staff. I’ll certainly be returning and recommending them by word of mouth! Dr. Fanno was knowledgeable and competent. He suggested that I used a special insole. It took a few weeks, but the problem was indeed solved. I was extremely please with my experience today. I was seen right away. The doctor was understanding and sympathetic, and also knew right away what the problem was. He explained everything carefully and in detail, and showed me the issue onboth diagrams of the foot and on my own X-rays and sonogram. In addition, the whole staff was lovely. They were also up front about what my cost would be based on my insurance, so nothing came as a surprise to me. Dr. Fanno and his team were very comforting and professional during my visit. I felt confident due to the manners and respect they spoke with, so there was nothing to be nervous about. Really a great place. I was in and out. He was very professional and knew exactly what he was talking about. Dr Fanno was very professional...he understood my situation & took very good care of me..he staff was were kind & professional as well.. Excellent and efficient staff, clear and informative doctor. Spent no more than a minute in the waiting room, exam was thorough, x-rays were easy to do. Would recommend to others. He was attentive and able to home in on the issue immediately. He was also able to explain things so I'm clear with my options and can guage how to proceed in the near term and far. Very thorough doctor. Had a great experience and assistant was great. Amazing doctor!!! Would highly recommend. Professional, knowledgeable, empathetic, personable and honest! Would definitely recommend Dr. Fanno. Great doctor and very nice. Excellent doctor, excellent staff. I went to see Dr. Fanno to treat severe heel pain. I had x-rays, diagnosis and a treatment plan all taken care of on this first visit. Things couldn't have been more painless! Highly recommend!